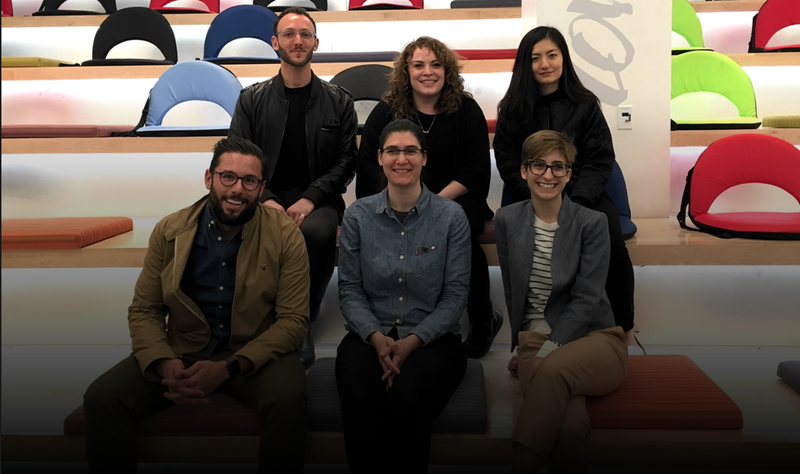 NYC Media Lab presented the A+E Networks Digital Media Storytelling Fellowship in collaboration with A+E Networks’ Digital Media team. A+E Networks partnered with graduate students to create compelling visualizations of historical narratives and information. Fellows were asked to design premium story presentations featuring innovative interaction design components and multimedia elements. The storytelling experiences brought to life ideas, personalities and major moments across history. This project is a web VR data visualization on the most recent episode of mass extinction. The visualization incorporates species data from IUCN Redlist API and historical facts taken from various academic sources to map out the ongoing effects of anthropocene. The experience aims to show the scale and cause of the sixth mass extinction, and to provide educational resources for people to get involved. Calling Thunder explores the unsung history of New York through spatial audio and mobile VR. Interactive soundscapes compare today’s urban cacophony to the vibrant ecosystems Henry Hudson would have encountered in 1609. The narrative considers Manhattan’s past to address its future: unearthing wonder in the green pockets of our city. Collaborators include Bill McQuay with the Cornell Lab of Ornithology and Dr. Eric Sanderson with the Wildlife Conservation. VillageLIVE celebrates queer community in the ways that it shapes and is shaped by public space in New York City. Using Nelson Sullivan’s video archive to design an augmented reality walking tour, past narratives come back to life in the streets where prominent figures of the city’s queer history once flourished. Nelson’s videos provide a glimpse into the importance of public spaces to the queer community, such as the West Village, the Chelsea Piers, and Tompkins Square Park. Raich is an artificially intelligent chatbot who loves to chat about the history of AI. The bot is quirky, kind of pushy and very excited to share fun facts with anyone who is curious enough to ask her a question. She also knows that artificial intelligence is a big topic and is happy to explain terms and give definitions in addition to sharing her facts. This bot lives on several devices.